Pálida is a star on the right arm of the Southern Cross, constellation Crux. Pálida is a Portuguese word meaning “Pale (one)“. 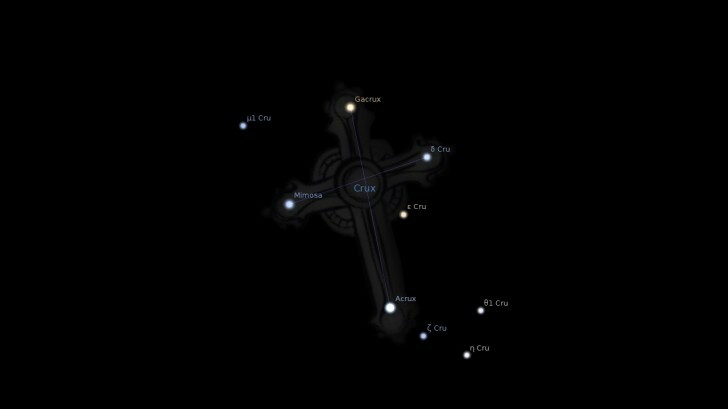 In China it is Shí Zì Jià sì, “Fourth Star of Cross“. Indigenous Central Australian tribes include Pálida in their Iritjinga, “Eagle-hawk“.